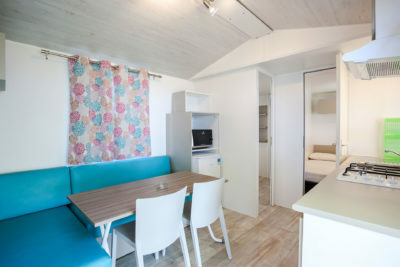 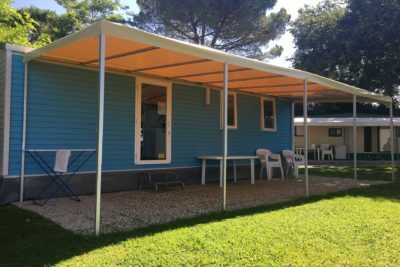 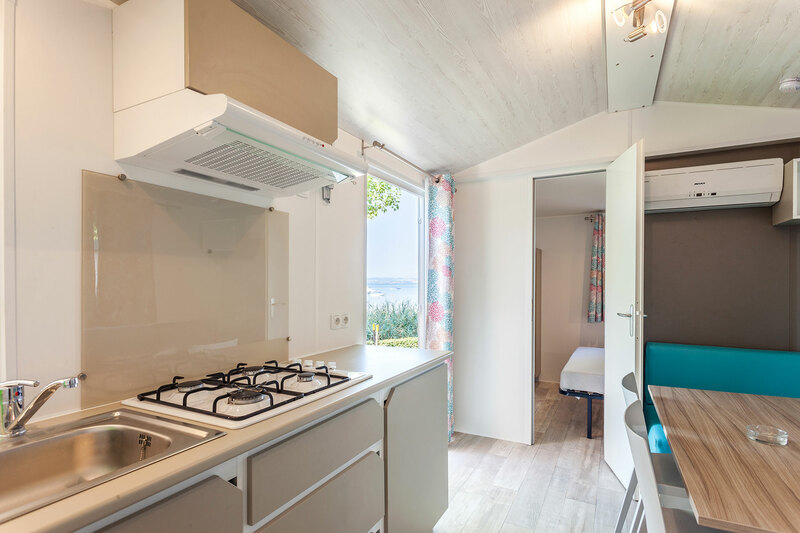 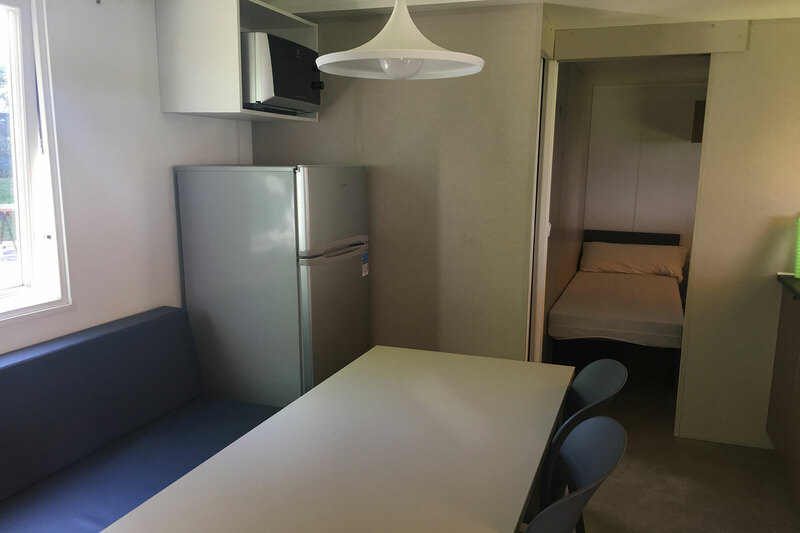 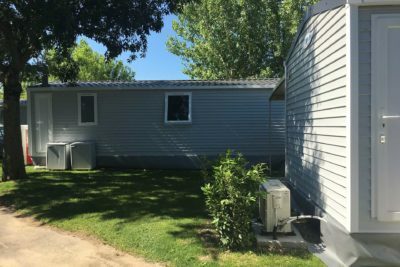 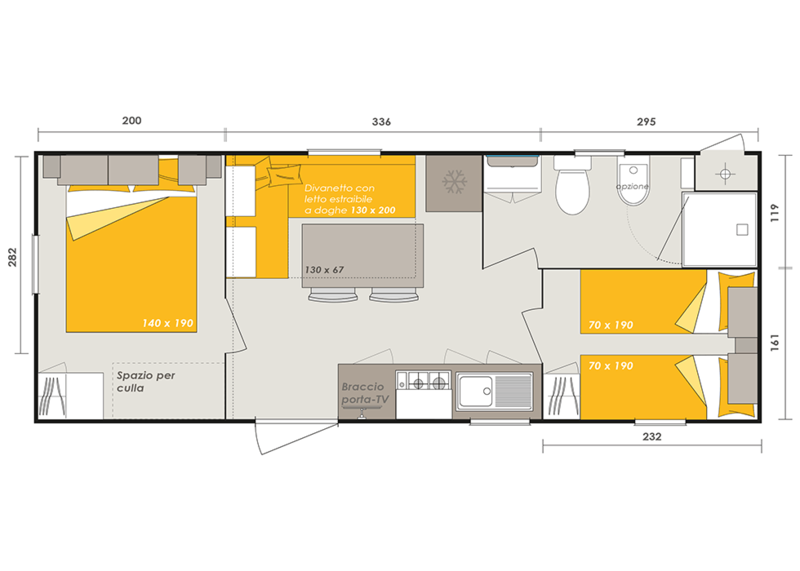 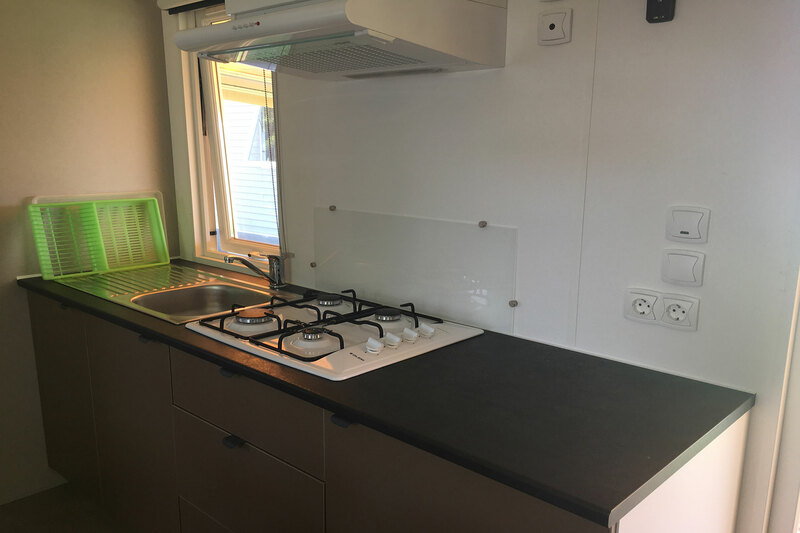 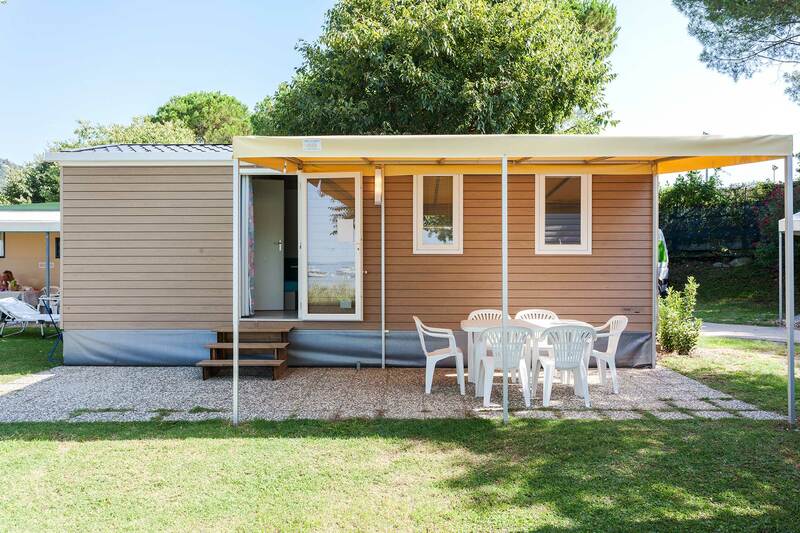 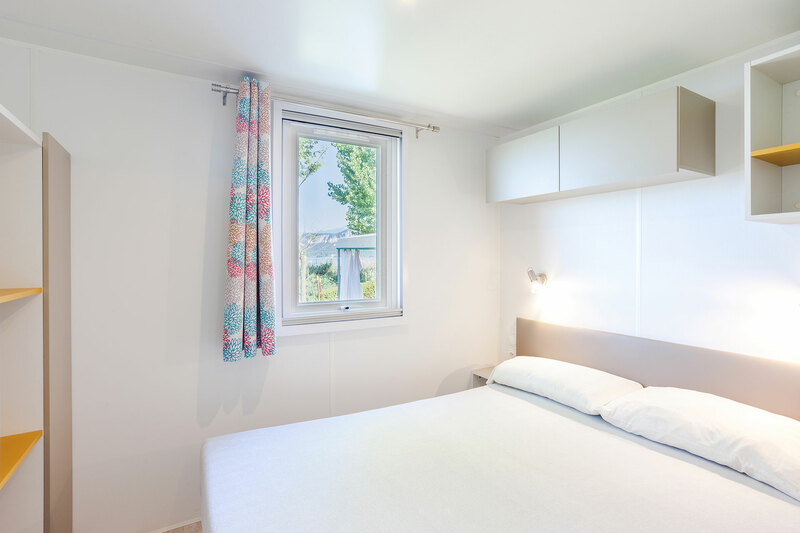 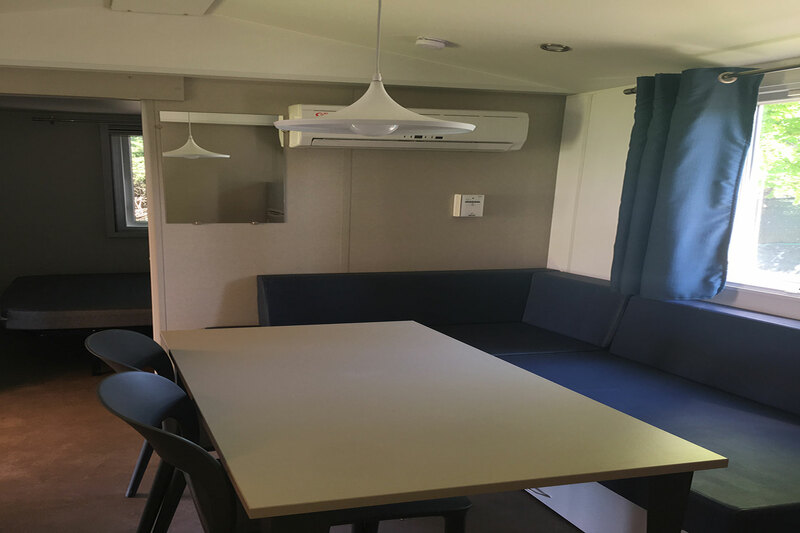 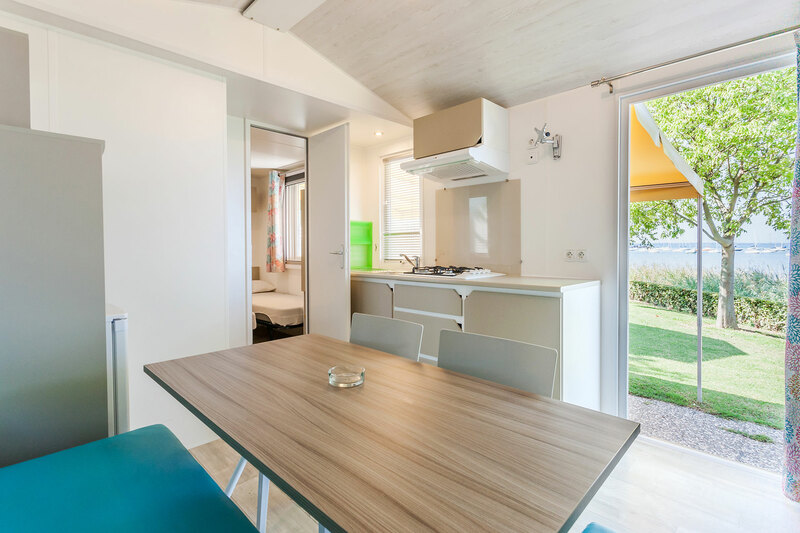 The new Lux Mobile Homes consist of a double bedroom and a bedroom with 2 single beds, a private bathroom (sink, toilet and shower), plus a living room with kitchenette. 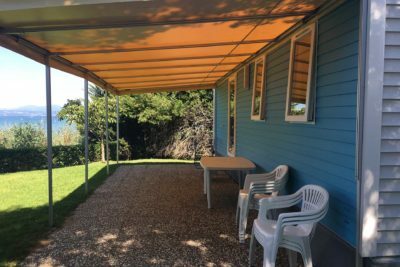 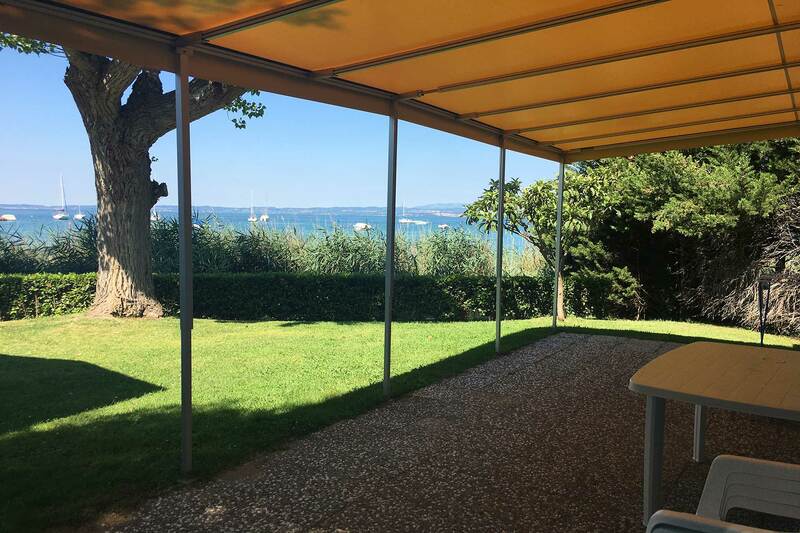 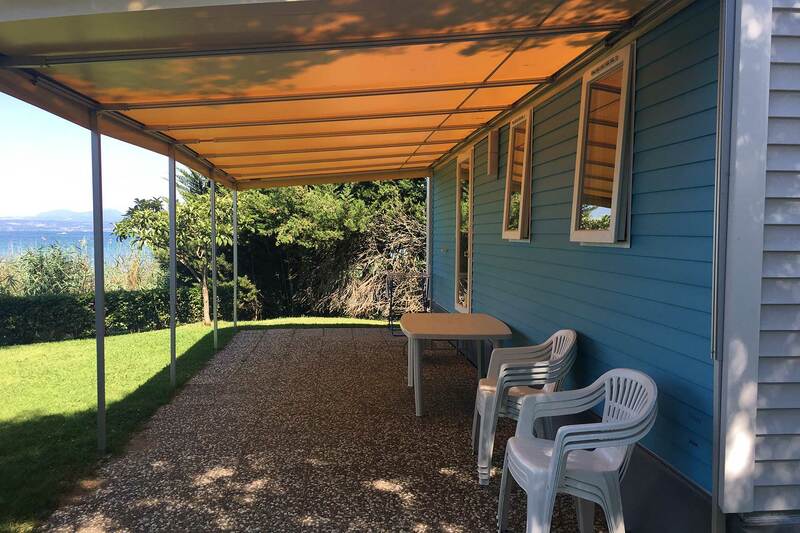 Veranda with private garden equipped with table and chairs. 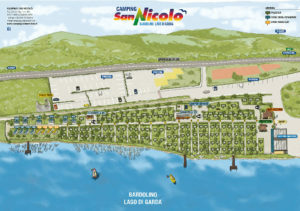 Air conditioning on request, reserved parking spot, blankets and pillows, crockery and pots, microwave and television hook-ups (not provided by the Campsite). 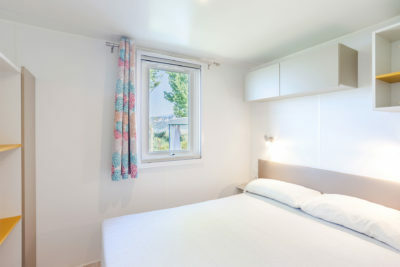 Sheets, towels and linens are not provided. Pets are not allowed. No smoking. 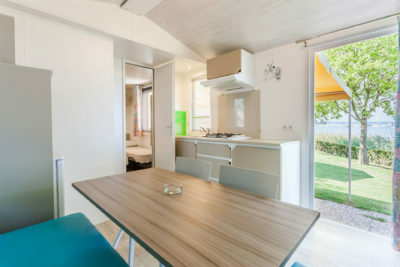 Wi-Fi area.